Comfort Sling For Those Who hHave Chronic Pain. 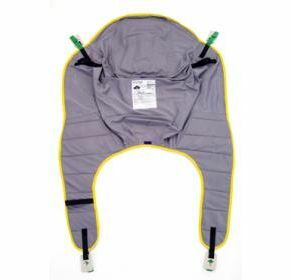 Our Invacare Comfort Sling supports the whole body and the head. The Invacare® Comfort Sling is ideally suited to those who have chronic pain. The sling is also useful for above knee amputees, or for those who due to postural position or pain prefer to remain in a seated position. The Comfort Sling is applied while the user is lying down, and is used to transfer the user into a seated position.